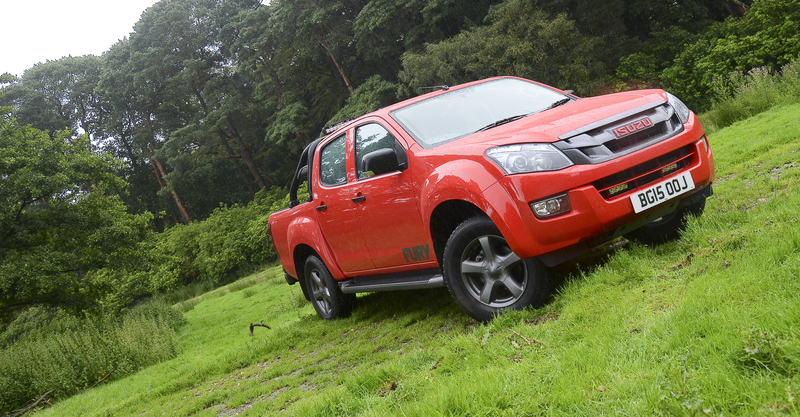 Mark Stone takes a closer look at the Isuzu D-Max Fury pickup. If there’s one thing that can be guaranteed it’s that Isuzu’s D-Max pickup is and has never been a shrinking violet. Not only does this pickup collect awards on what seems to be a monthly basis, the Isuzu D-Max more than proves its worth in a variety of rolls. In basic trim the D-Max still rates as one of the hardest working vehicles of its type at an extremely competitive price. It also makes no bones about the fact when it comes to luxury and refinement it still remains one of the most commercially orientated. And whilst there’s nothing remotely wrong with the fact, if you’re looking for a double-cab that’s more of a fashion or lifestyle statement, the Isuzu D-Max pickup probably wouldn’t be your first choice. The latest of the D-Max specials is the Fury. Large and in charge and as subtle as your average earthquake, the bright Magma Red paintwork, distinct but slightly smaller rims and additional external trim scream that the Fury edition has arrived. Aimed at younger buyers who need a double-cab 4×4 as both a working vehicle and all round transport, the Fury’s appearance offers the visuals of a far more expensive machine yet offers a significant saving over the mechanically identical yet more expensive Blade, Utah and Huntsman models. Sat on the D-Max’s familiar steel ladder frame chassis and satin effect 5-spoke alloys and 255/65R17 Bridgestone Dueler H/T, the vivid red bodywork is enhanced further by the addition of distinctive steel sump and rear diff guards, a substantial black light rail that carries two small banks of Lazer spotlights in addition to those set below the front bumper. Fully colour keyed even down to the red Isuzu badge, only the black detailing and roller load bed cover adds external contrast. As with all D-Max, the high shoulder line and squared load bed give the Isuzu an angular profile that continues around the tailgate and four large doors, the running boards in the case of the D-Max more or less mandatory for easy of climbing onboard. 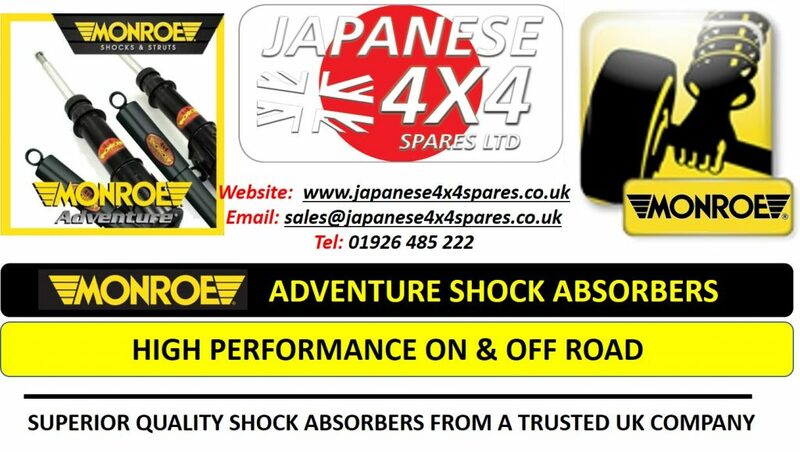 Riding on independent double wishbone and gas filled double-action shock absorbers at the front and rear rigid axle, semi-elliptical springs and anti-roll bar, the 1.5 meters square and half a meter deep bed is one of the most practical of its type. Capable of carrying 1,063kg along with an additional braked 3,500kg trailer capacity, once again figures that are some of the best in their class. And when traveling off road the 235mm ground clearance, 300, 230 and 220 approach, departure and ramp over angles and front and rear overhangs of 905mm and 1,295mm ensure the D-Max is off-road ready. Inside the cabin hard, wipe clean surfaces are at times at odds with the black and red leather trim, the amalgamation of utility and luxury at times an eccentric combination. Sat to the rear of the leather steering wheel, white on black baton instrumentation and minimal readouts are simple and clear to see as are the main controls. Big and chunky with easily determined detents as to why Isuzu have chosen to install a satnav and infotainment system with such microscopic controls seems at times strange. Space wise the Fury provides genuine accommodation for five adults with the bonus of a folding rear seat that instantly increase load capacity whilst two cubbies beneath the rear seat squabs house the tool kit and jack. But whilst the cabin offers twin glove boxes, a dash mounted cubby and four cup holders, oddment stowage for mobile phones and other smaller items could be improved upon. Under the hood the Euro5 2,499cc two-stage twin turbo diesel delivers 163hp and 400Nm of torque, the 4-cylinder 16v unit common-rail unit powerful but commercial in nature meaning throttle response isn’t quite as instant as some drivers would probably like. Mated to a 6-speed manual gearbox, for the majority of the time the Fury runs in rear wheel drive, a rotary selector engaging both high and low ratio 4WD, the system’s reaction almost immediate. Fed from a 69 litre fuel tank, whilst the Fury fell rather short of the indicated factory figures, a final average figure of 26.7mpg over 232 varied miles was still acceptable. Up and running, no matter how leisure orientated the Fury might appear it is still a truck. Sensibly weighted, the power steering ensures the Fury remains light to drive even when fully laden the 12.2 meter turning circle is still easy to achieve. Similarly, whilst remaining fully maneuverable on or off road the new rearview mirror reversing camera display isn’t to my mind a roaring success. Apart from the fact you have to look up and away from the wing mirrors, it tends to suffer from bright light reflections rendering the camera useless. 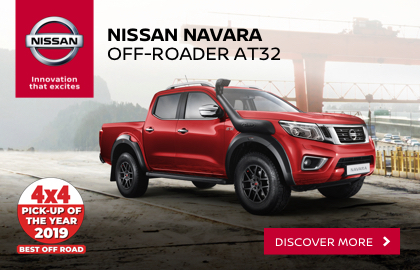 Off road, the 4×4 system copes easily with changes in surface and demands although as always, disengaging the traction control, (at times overly enthusiastic on the D-Max), allows full power to be quickly applied when the situation demands. On the road the view is commanding, the cabin reasonably quiet and comfortable although without any load onboard the ride can be choppy on all but the smoothest surfaces, the rear becoming light on tight or damp corners. Drop in half a tonne and the character changes, the Fury feeling far more refined. Price wise the basic Fury costs £19,999 on the road the example on test a heftier £24,830.50p due to the various options. And whilst you could live without most of the options to do so would to have missed the whole point of the Fury. Although the sports bar and Lazer lights add £1,069, the Roll ‘n’ Lock load cover £1,122-50p and the black and red Fury leather trim at £1,325, they form an intrinsic part of this D-Max. I would however have to give serious thought to the £930 Pioneer Media & Satnav and cargo bed rug at £385. As always keeping a close eye out for the Fury benefiting from one of Isuzu’s numerous offers, whilst the Fury might not be the most refined of its type, it still remains one of the most willing and financially viable of the double-cabs. And whilst the Fury is most defiantly loud and proud it’s probably all the better for it. The original and still the best! 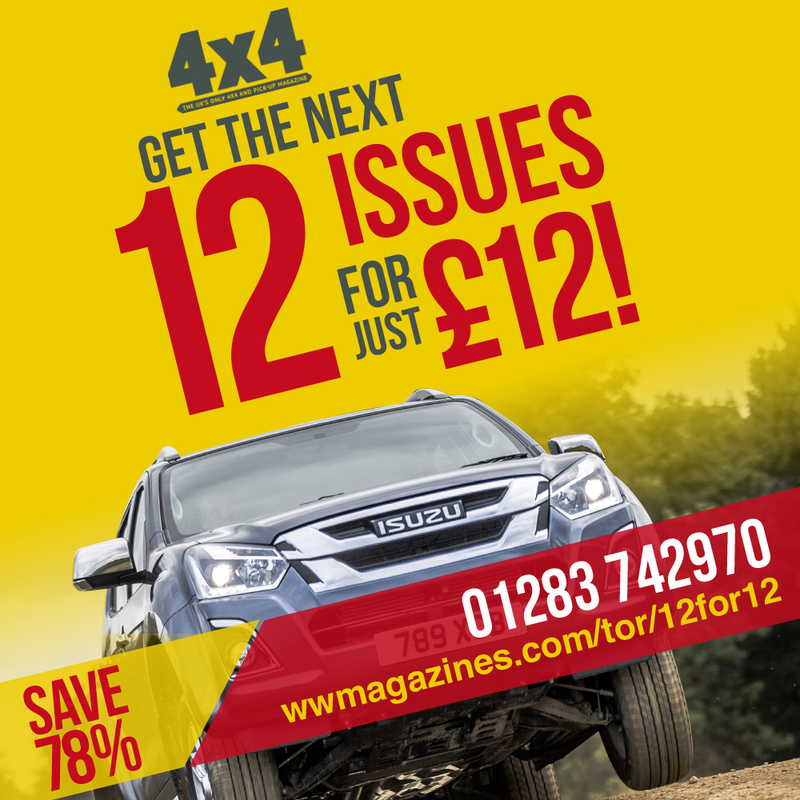 4×4 magazine is the market leader in automotive off-roading.